Kate Duncan founded Address in 2014. Sometimes not fitting in is good thing. 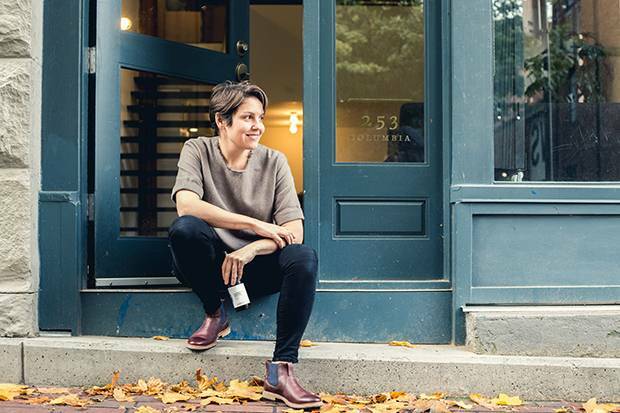 "I had done some craft markets, and then I had done a couple of trade shows," says Vancouver-based designer-maker Kate Duncan. "I felt like where I was at with my brand and my business I didn't quite fit into either model." People go to craft markets to spend maybe $50 to $100, says Duncan, not $10,000 on a table. But at trade shows like the Interior Design Show, she says her work – clean, contemporary furniture that reflects her meticulous woodworking skills and a Japanese aesthetic – felt out of place exhibited alongside large corporate brands, so she decided to put on her own show. "I reached out to a bunch of makers and designers who I thought were maybe in a similar position with their brands, and I admired their work," she says. "And I said 'Hey, why don't we do this?'" 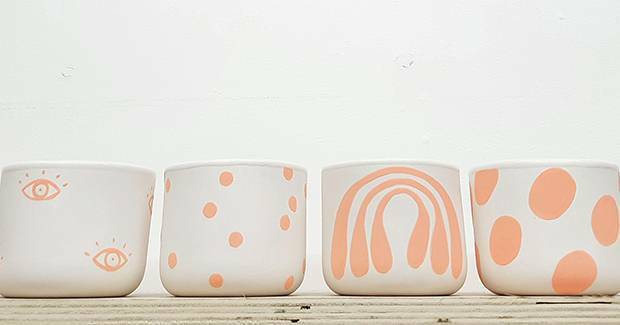 Eikcam is a line of quirky ceramics by artist Grace Lee. As a result, Address was born. Launched in 2014, the annual design showcase highlights the work of leading and up-and-coming designer-makers from the Pacific Northwest, and includes furniture, lighting, textiles, sculpture, fine art and home accessories. This year the show runs May 25-28 in East Vancouver's Ellis Building and will feature the work of over 30 exhibitors, including newcomers from Seattle and Portland, Oregon. As opposed to being "booth-centric," everyone's work will be mixed together in highly curated vignettes, such as bedroom and dining room scenes you'll want to cart home. "Anybody who's anybody in the design community, I find, at some point will walk through the doors of the show," says Duncan. "It's good to actually connect face to face. Everybody gets their head out of their computers and says, 'Hi,' and it's not just designer-makers, it's interior designers, architects and design enthusiasts in the city." Interior designer Amber Kingsnorth of Mak Interiors has styled the event for the past few years and has had the challenge of putting it all together in a new space, a 4,000-square-foot warehouse on Main Street. Kingsnorth says she loves the show because it's all about highlighting local design. "You kind of get caught up in sourcing these quick and easy pieces that are off-shore, or from big-box stores," she says. "Because that's what clients know about, and that's what they sort of ask for. This is a chance for designers to have their eyes open. There are so many talented people here, it's crazy." Work by lighting designers Propellor, showing at this year’s Address. 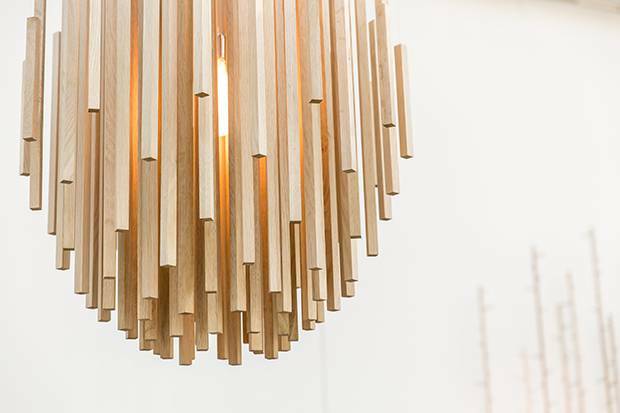 One example of this talent, says Kingsnorth, is the lighting and sculptural work of Vancouver's Propellor Design, who are exhibiting for a third year. The show has been really helpful in allowing them to get their work in front of a local audience, says designer and partner at Propellor Toby Barratt, who is finding interior designers and architects have a real hunger for locally produced work. "We find that our clients here in the city really like being able to come by the studio and jam on ideas with us and take pride in supporting the local design scene," he says. The aesthetic of the show until this point has been very clean and natural, Kingsnorth says, and this year they're "punching it up a bit" with some more graphic-inspired newcomers: Eikcam, quirky ceramics by Grace Lee, and textiles with fresh prints and patterns by Annie Chen of Lemonni. Like her own work, Duncan says Address has evolved every year and is now much bigger than she ever imagined it would be. As for this year's show: "I just hope it's bigger and better than the last one, which was already amazing," she says.